THE SMARTEST WAY TO ATTRACT NEW CLIENTS AND BUILD YOUR BUSINESS ONLINE WITHOUT SPENDING ALL YOUR TIME AND ENERGY STUCK IN FRONT OF A SCREEN. Systems to showcase your business in as little as 30 minutes a day. You have a great business so you want to make sure your online presence – website, social media, advertising – consistently brings in clients. But “doing all the things” to attract clients online can be exhausting and overwhelming: blogs, social media campaigns, podcasts, guest posts, press releases, sharing, liking, tweeting… it seems to never stop. All this leads to less time to focus on your actual business. A premium 1-1 workshop designed just for you. 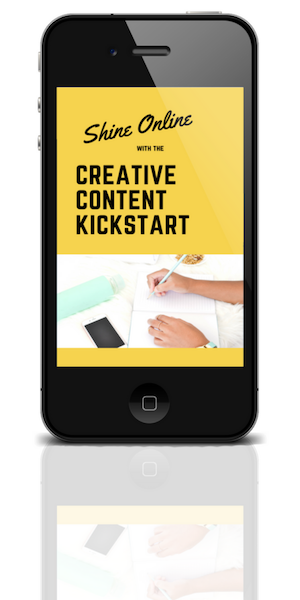 Discover how to create the right content for your business, for your clients and a system that fits your personality and your schedule. Imagine the freedom to focus on your core business knowing that your online presence was working just as hard for you. 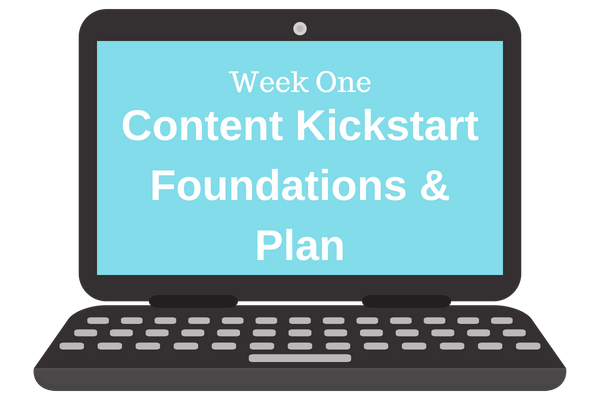 Work 1-1 with me over four weeks to discover the tools and strategies to kickstart your content and make your business shine online. 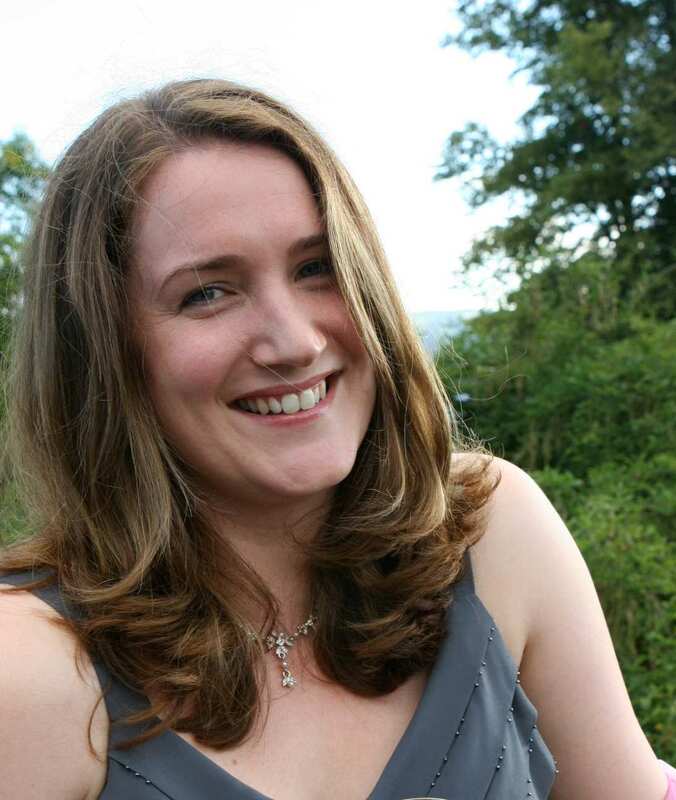 I’m Lynne Adams, and I help smart, passionate and busy entrepreneurs shine online to reach and connect with their ideal customers. 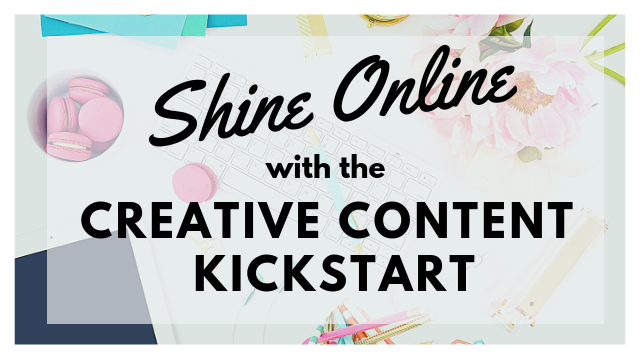 I believe in using workable and simple strategies to create online content and reduce the overwhelm, stress and workload which come with being a successful business owner. While I started as a journalist working in a busy international newsroom now I work with creative entrepreneurs who are building their passion businesses. I’ve been working as an online content specialist and editor for more than 17 years – training, coaching and supporting dozens of clients and students. 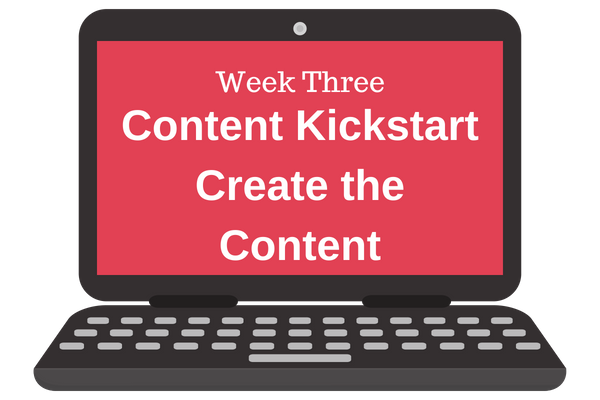 Ready to Conquer Your Content? Claiming Your Online Spaces – The Basics: A full review of your current website and social media profiles. Establishing Your Marketing Goals: What do you need your online content to do for you? Visibility, more clients, expert status? Find The Right Publicity Fit For Your Personality: Your online content has to be authentic and be consistent – it’s not a one size fits all answer. We find the right types of content which you love and find easy to do. Identifying The Current Blocks To Success Online: What’s holding you back right now? Procrastination, Overwhelm, Writer’s Block? We’ll tackle it together to get you on track. Your Clients – who are they and where are they? Don’t fall into the trap of broadcasting to an online ghost town. We’ll create a blueprint to track down and engage with the clients you want. What Type of Content Is Right For Both You and Your Clients? Do you want to do a weekly blog or podcast? Are Facebook lives your best medium? We’ll find the right formats and platforms for you. Templates and Tricks of the Trade: Techniques and tips to help conquer your content blocks and worries. My tried and tested templates for different media platforms. Now It’s Time To Get Practical! 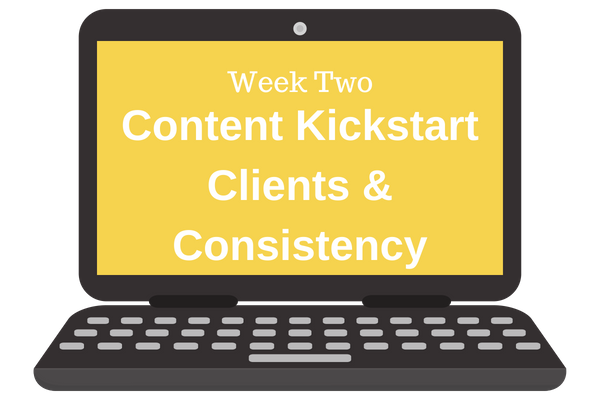 This week we are going to plan your next month’s worth of content for your website and social media. Your Voice, Your Face, Your Story: Nervous about speaking live about your business – either on Facebook or interviews or podcasts. We’ll split the content session into two and use the time to practice video and interview techniques. Q. I want to outsource all my social media content - is this still for me? A. Yes! This is ideal for you before you hire your VA or social media team because you will need to have a good overview of your business’s social media and content needs to hire the right person and to keep an eye on their work. You don’t want to be in the dark when it comes to something as important as the voice of your brand. Q. I'm not sure I'll have the time to do the sessions - is this going to work for me? A. Absolutely. We can find a schedule for the sessions which fits you and your needs. But putting the work in now will save you a lot of time later. We will discuss all sorts of strategies to reduce the content and marketing workload and let you get back to the main core of your business. Q. Can I just hand everything over to you to do? A. Of course! But that’s a different service that I offer. If you want a done-for-you content and social media package get it touch and we can discuss your needs and budget. The thought of putting a website together had me stopped in my tracks. Visions of thousands of dollars and hours of planning meetings kept me from creating my most important business tool, my on-line presence. Lynne gave me just the right amount of direction, assistance and tools to create an amazing website inside of four weeks, at just a few hours a day. She has an amazing ability to listen, analyze, customize and direct you to eliminate those nuisance-tasks that keep you from doing what you do best. Run your business. Bravo! Thanks Lynne! Lynne fully understood and respected our requirements for a tasteful, efficient, easily navigable and maintainable website. Further, she helped us avoid mistakes and offered tips and advice to help us get our new non-profit up and running in record time. It is difficult to find detail orientation, editing skills, social media expertise and keen intelligence in one person – Lynne has it all. I wouldn’t hesitate to recommend Lynne to anyone looking for blog, business, website, or social media support. When I started working with Lynne I had no clear direction, I just knew I needed help. Lynne was able to jump in, help me organize my systems, create templates for social media, and keep me up to speed on trends and questions in my niche. She’s great at recognizing gaps in your content strategy and outlining a solution. There are only 5 spots left at this price.